American teenagers average about nine hours consuming media per day and tweens almost six hours, according to Common Sense Media. This includes activities like watching movies, listening to music, playing games and using social media. Do you know how much time your kids spend on their mobile devices and what they're doing when they're using them? There's no need to guess. There are products, apps and services that enable you to see exactly what your child is doing and manage their screen time. Controlling what your child can do on their device starts with creating an account for him or her. For children under 13, you can create a child account, which gives you control over your child's device from your own device. 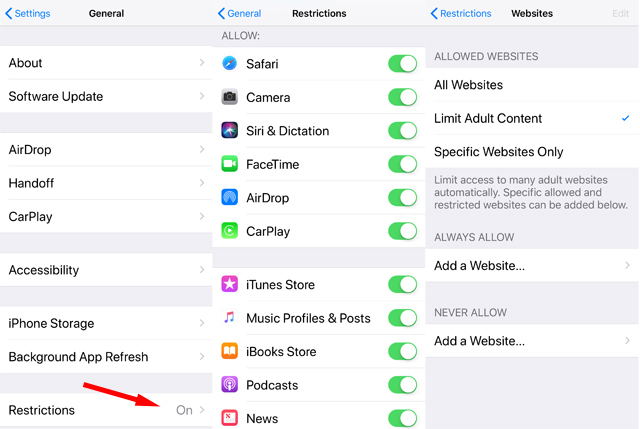 For iOS devices, this gives you the ability to require your child to ask permission before downloading apps and making in-app purchases (all other parental controls are set up on your child's iOS device). For Android devices, when you set up your child's account through the Family Link app (free for iOS and Android), you have access to all parental controls (see below for full list) from your own device. When children turn 13, Apple or Google contacts them to give them the option to manage their own account. If your child chooses to manage his or her own account, parental controls will be limited to those that you set on your child's device. Through the FamilyLink app, parents have a lot of control over how their children can use their devices even when you aren't in the same location. 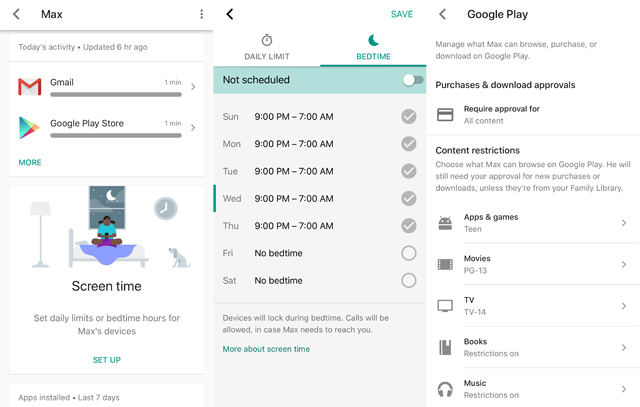 Content settings can be set by going to the Google Play app > Settings > Parental Controls. After your child takes over managing their account, you can still manage content ratings through the Google Play app on your child's device. 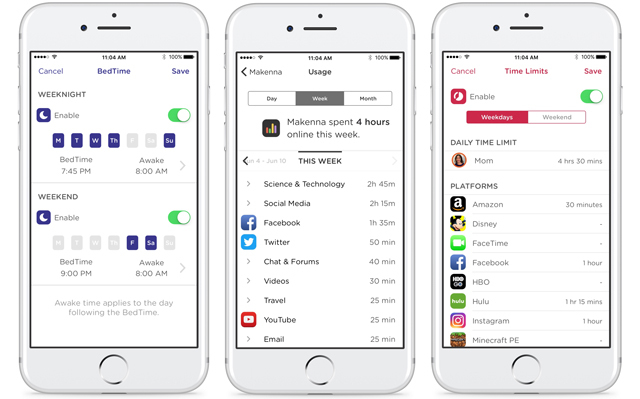 Screen time: Parents can see how much time is spent using each app and set a bedtime and daily time limits for the device. When the device exceeds the time limit or reaches the bedtime, the phone will lock and your child won't get notifications. He or she will be able to answer calls and can place calls by tapping "Emergency." 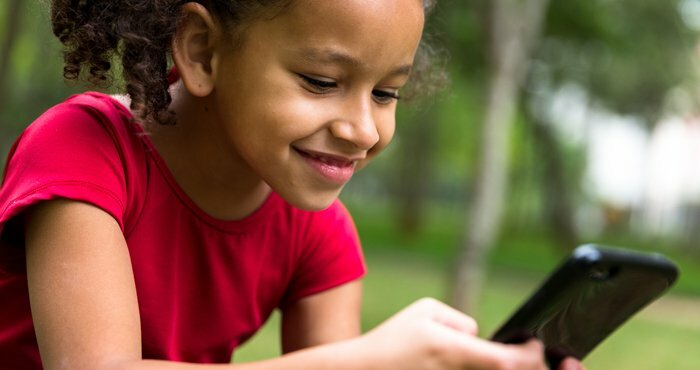 Parents can unlock their child's device remotely or use a parent access code if the device isn't connected to the Internet. 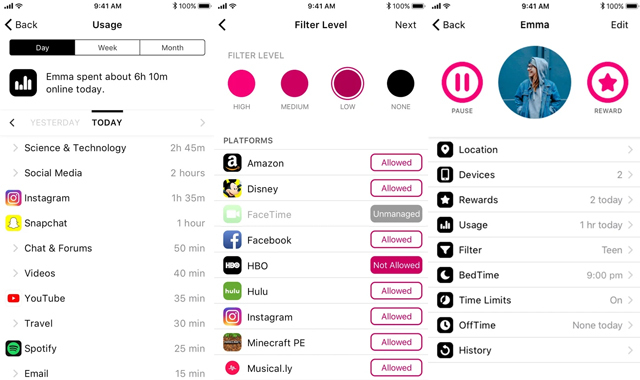 Most of the parental controls for iOS devices reside on the device. So even when your child takes over managing their own account, most of the parental control remain in place. 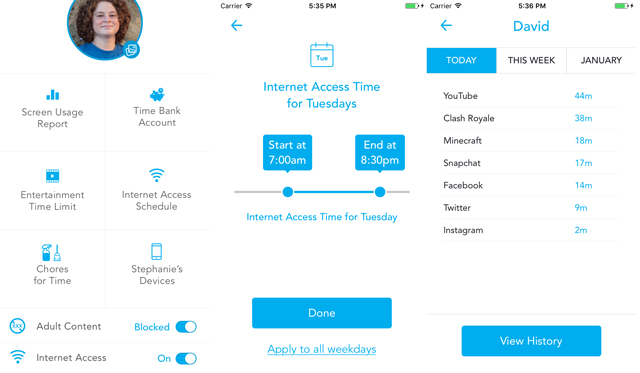 Find on-device parental controls at Settings > General > Restrictions. You'll be prompted to create a parental PIN code and all future changes require inputting the parental PIN code. Whether it's streaming videos, mobile games or social media, many screen time activities require an internet connection. Turning off WiFi and/or cellular data can effectively disable devices. Charter Spectrum (which acquired Time Warner Cable) only provides content filtering for Windows computer via the McAfee Internet Security Suite that comes with service. You'll need to register for the software with Charter Spectrum. 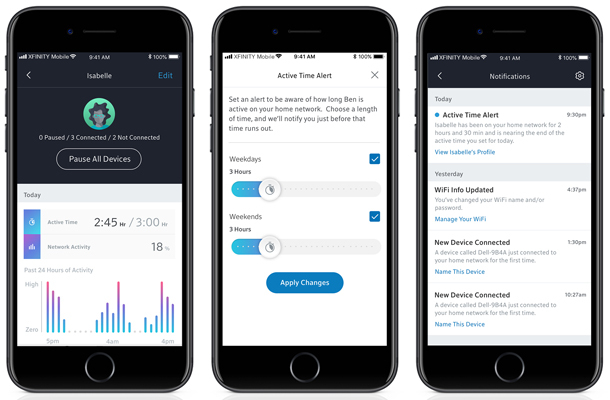 For more insight and granular control over your child's screen time, you can install a router with robust parental controls or attach a product to your existing router that acts as an internet gateway for your child's device. The leader in this space is Circle Home ($99 on MeetCircle.com, check price on Amazon). The small cube attaches to your existing router and gives you control over which devices can access the internet throughout the day. Set time limits for the device, by type of app or individual app and see how much time is spent using each app. You can also set age-based content filters for pre-k, kids, teens and adults, and you can further customize the filter by type of content or individual sites to fit your needs. You'll get a report on what apps your kids are using and for how long. The unGlue service monitors and controls access to the internet across mobile devices, game systems, computers and tablets. No device necessary. You just load the app (free for iOS and Android) on your child's device and an always-on computer in your home. Set schedules and time limits and set up time rewards for chores and other accomplishments. The free unGlue service gives you a usage report. Or you can pay for the premium service ($100 for the year or $12 billed monthly) for the ability to turn off access to the internet, set schedules, set time limits and block mature content. We limit the amount of time our kids play games on their desktop computers, which is done on trust. Once in a while it would be good just to see exactly how much time they spend gaming, as opposed to the usual shrug…“I’ve only been on half an hour….” having been holed up on their computer all afternoon ! Is there an app that I can upload on their/or my computer to monitor the amount of time they spend gaming. As I say, this is a desktop, not a phone or tablet of any sort, thanks.